Old fashioned hand-dipped ice cream emporium. 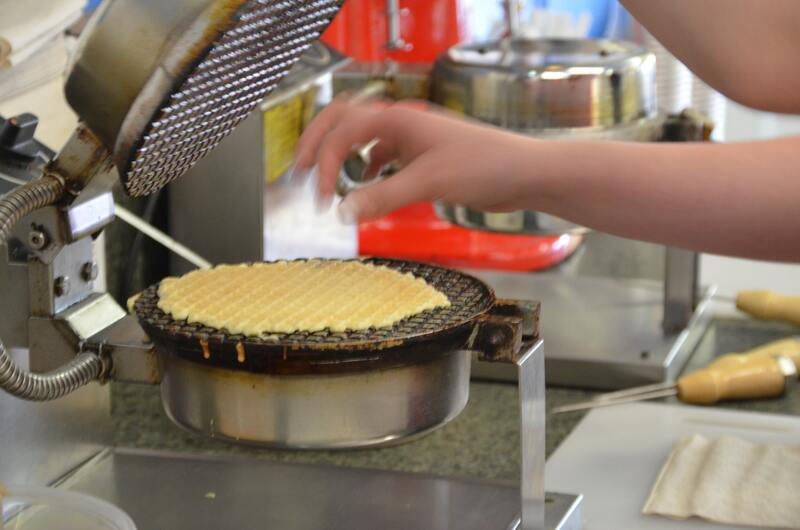 Made to order warm waffle cones (vanilla or cinnamon). Cones, sundaes, shakes, malts, shaved ice, banana splits. We also make made to order ice cream cakes. Please call at least 24 hours in advance of the pick-up to order the cakes. Varying sizes, shapes and layers. Call for details! Ask about our Birthday Party Packages! Many options to choose from, including coffee, ice cream, pin the tail on the donkey, a magician, and renting the space! Originally located between Sylva and Cullowhee, Jack now makes his home in the East Sylva Shopping Center - home of Quin Theater. Stop in to see us today! !